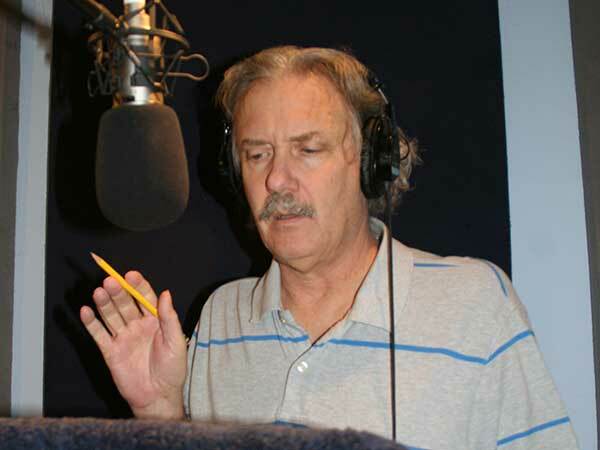 When you are trying to learn voice-overs or improve your voice over skills the first step is usually to take a class. In the Aliso Creek classes you get the best of both worlds: small class size which allows personal attention and the reinforcement of working with other voice-over students and hearing a variety of interpretations. But often your needs are more specific than a class environment offers. If this is true you should consider private coaching with me, William Williams. I have been in the voice-over business for twenty years and can quickly identify your strengths and weakness and guide you toward improving your performance. Often just a few lessons can sharpen your skills and take you to the next level. Here are some times when private coaching is beneficial. If you have done voice-overs in the past and want to return to the industry. If want to get back into the voice-over business after a lay-off of several years then it is advisable to work with a coach to understand the changes in style that have occurred and to perfect the latest trends in voice-over. Advertising and animation are changing every year and you need to have a current style or you're not going to be competitive. You should also consider producing a new demo if yours is older than 18 months. If you do voice-overs and you've just moved here from out of town. Los Angeles is the center of the universe for voice-overs. So if you want to compete at the highest level you've come to the right place. You'll read for spots from all over the country and the world (sometimes for the city you've just left!) But the talent level in Los Angeles is extremely high. A few private lessons will point you in the right direction so you can audition at this level and book jobs. If you have a demo from out of town you should have your demo reviewed and edited to make sure it doesn't sound "minor market" and will sell you skills in the best possible way. If you've done radio and you want to pursue voice-overs. There is a different sound for radio announcing and commercial voice-over. Voice-over performances are more relaxed and more emotionally involved. There is a bias in the voice-over business against an "announcy sound" so the typical radio announce will lose you the job. Private coaching can train your sound to eliminate "announcyness" and connect more with the listener. If you're young-- between the ages of 8 and 16. Learning voice-overs as a youth is different than the way classes are taught. Young performers learn more by imitation than by explanation. They also are able to imitate performances they have seen on television commercials or cartoons. Also each child is at a different level of maturity and this changes rapidly as they age. Reading skills also vary widely. Private coaching can provide a learning environment that is tailored to each child's talent, maturity, reading skills and imitative skills. If you have specific skills you are trying to acquire or improve. A voice-over performance consists of a wide variety of skills all coming together in harmony. These skills can be as varied as sight reading, cold reading, improvisation, inflection, voice acting, attitudes, styles and voice characterization. If you feel that you have certain of these skills nailed down but have others that are weak then private coaching can help improve your weakness by concentrating on lessons and copy that is specific to the areas that you need to work on. If you want an evaluation of your present skills and suggestions on what areas need improvement. You may spend years trying to figure out how to improve your voice-over skills when a private coach can show you the path in a handful of lessons. Sometimes you need an objective outside opinion to help you put the final polish on your performance. A coach is trained in rapidly evaluating and improving your performance. A quick tune-up is often what stands between you and booking the next audition. so move to the next level with one-on-one coaching with William Williams! I worked with a young man who had done quite a bit of on-camera acting. He took private lessons to "come out of his shell" a bit and refine his auditioning skills. While I was coaching him he had the opportunity to read for the part of "Littlefoot" in the "Land Before Time" animation series. We worked specifically on portraying strong emotions with his voice and changing from one emotion to the next rapidly. He booked the part of Littlefoot and had the honor of working with Kiefer Sutherland.